Intravenous therapy (IV therapy) is a minimally evasive, fast, efficient way to deliver essential fluids and nutrients directly into the bloodstream. Unlike other medications such as oral or topical, IV therapies are 100% absorbed into your body. 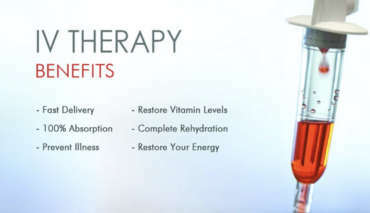 Simply put, IV hydration is the fastest way to deliver essential vitamins and supplements to the body. 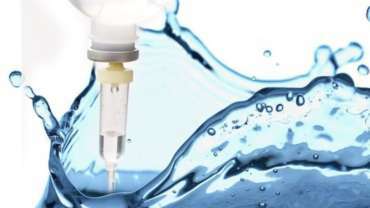 IV hydration delivers various different types of ingredients that are designed to treat specific symptoms and ailments. Atlanta Men’s Clinic uses a custom blend of IV infusions that include, essential fluids, electrolytes, vitamins, amino acids, minerals and antioxidants. This rapid method of hydration re-energizes your body to provide you with a wide range of health benefits. For questions about Atlanta IV therapy or to schedule an appointment, contact our clinical staff. Oral intake of fluids and supplements delivers only a fraction of the nutrients to the body’s cells which can render up to 85% of that vitamin useless.. In contrast, IV or intravenous infusions replenish fluids and nutrients directly into the body for optimal absorption. This delivery method is the only one that provide complete bio-availability by bypassing the GI (gastrointestinal) tract, enabling your body to absorb 100% of the vitamins, minerals, and antioxidants. 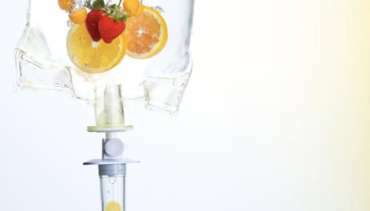 What are the benefits of IV drip therapy? Who should get IV hydration therapy? IV hydration treatment has quickly gained traction for anyone wanting to live a healthy & balanced lifestyle. Patients seeking IV therapy come from all walks of life including athletes, corporate executives, pilots, lawyers, law enforcement and firefighters. Our proprietary IV infusions will help replenish, and re-hydrate so you can get back to work, life, and your daily routine. What type of IV therapies do you provide? Atlanta Men’s Clinic offers different IV vitamin therapies for general health and wellness. Our hydration services are tailored to treat symptoms and conditions such as hangovers, cold & flu sickness, fatigue, athletic performance & recovery. Who will administer my IV? In addition to our MD who serves as medical director, our clinical staff consists of fully licensed and accredited, nurse practitioners, and registered nurses. Our nurses closely monitor the progress of each patient throughout their IV drip therapy. Some people have a fear of needles, however, IV therapy typically does not hurt. Most patients don’t feel the IV being placed, and some don’t feel it at all. Our clinical staff is very experienced and uses the highest quality medical supplies to ensure your treatment is as comfortable as possible. IV hydration therapy takes anywhere from 15 minutes to 1 hour to administer. The length of time depends on the patients needs and type of IV therapy infusion requested. The cost of IV therapy depends on the type of treatment you receive. Atlanta Men’s Clinic offers various treatment options and wellness packages at competitive pricing whether your a regular visitor or just stopping in to get recharged. What are some potential side effects of IV therapy? IV therapy is safe and generally poses low risk for side effects. However, things such as bruising near the placement site, soreness, irritation, or inflammation. Some other rare side effects can include allergies and risk of infection. How often can I receive IV treatments? The frequency of how often you receive IV treatments depends on the condition you’re remedying. However, other things such as physical activity, stress, sleep and nutrition can also be contributing factors. In addition, it’s important to remember each patient is different and has specific, individual needs. Some patients receive treatments each week, while others come in once a month.